Earlier this year Joshua Henderson, Director of Programming for Springboard Enterprises wrote an article in the Huffington Post titled The New Girls Network: Building a Bigger Pie for High-Growth Women-Led Companies. I sent an email to Joshua thanking him for highlighting the work that women’s investment funds, media platforms, accelerators, conferences and membership groups are doing to advance women entrepreneurs and I shared his article through my network. In my email to Joshua, I mentioned my role as co-founder of the Women’s Capital Connection, a woman’s angel investor network in Kansas City, USA and my work with women professionals and entrepreneurs in developing and emerging markets. With the shared belief of advancing women in business, and as a super connector, Josh introduced me to Angie Chang, Editor-in-Chief & Co-Founder of Women 2.0. Angie herself is an amazing super connector, and she took the time to look at The Way Women Work. Seeing a shared connection and alignment in our goals to increase and accelerate women entrepreneurs, Angie offered to publish some of our articles in Women 2.0. After nurturing the connection with Angie, a couple of months ago I reached out again to Josh this time regarding the Dell Women’s Entrepreneur Network event in India. Joshua connected me to Amy Millman, the president and co-founder of Springboard Enterprises. I quickly gained some insight into perhaps where Joshua had developed his connection generosity because Amy very graciously put me in touch with Stephanie Goodell, Program Director of the Dell Conference . 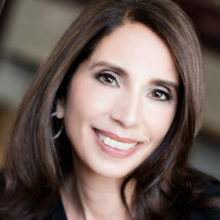 In another example of true super connectivity Stephanie made time to talk with me and connected me with women entrepreneurs globally. My experience once again demonstrated the results of the classic 1974 study by sociologist Mark Granovetter, which showed that professional “weak ties” can be more important than those you consider strong. Who are the super connectors that share your beliefs & how can you go about connecting with them? Build and nurture your own contacts and networks with people with whom you have shared beliefs. Thank, promote and further the work of people in your network and people who work toward the same objectives you do. Find genuine, sincere ways to connect with super connectors along aligned beliefs and shared goals. Be generous and willing to extend yourself as connector for those who reach out to you. Tell me again, who says women don’t help each other?